Includes 1 table top display and 2 complimentary attendees registrations. Includes 1 table top display and 3 complimentary attendees registrations. Networking Reception the Evening Prior! 9:15am - Development of IS-BAH (International Standards for Business Aircraft Handling), Jim Cannon, Principal Consultant, Sundog Aviation Safety. 2:00pm - Potomac TRACON Update, Stephen Smith, Air Traffic Manager, FAA, Potomac TRACON & Brandon Miller, NATCA. Register for this great event today! 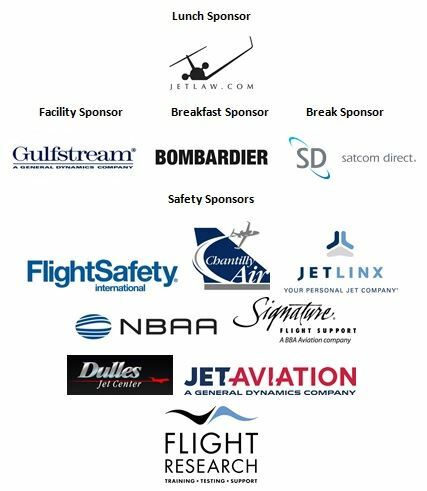 Additionally, the day before (May 31), Jetlaw will be offering its Regulatory Compliance and Documentation PDP course - for more information, please visit https://jetlaw.com/nbaa-pdp/.